(03-02-2019) On Dies Natalis, 22 March 2019, Ghent University will be honouring Krista Bracke and Frances Morris with an institutional honorary doctorate. Six faculty honorary doctorates will also be awarded. These honorary doctorates are awarded to persons for special social merits. Krista Bracke (Lokeren, b. 1968) was a presenter and producer at Radio 1 until she was suddenly infected by a carnivorous bacterium in 2009 and appeared to suffer from an immune disease. She survived, but the attack on her body had serious consequences: the loss of both her lower legs, a distorted right hand, a chronic lung disease, and an immune defect. This Ghent native wrote a book in 2014 on her struggle to survive – which she also partly fought at and together with Ghent University Hospital – and to deal with the limitations of her new life entitled My life on stilts. Krista Bracke is praised for her admirable, powerful, and positive way of dealing with the exceptional fate that has befallen her. Her experiences also show how academic research can lead – literally – to vital changes in very concrete situations. Frances Morris (London, b. 1959) is the director at the Tate Modern, the British museum for international modern and contemporary art, which she has been involved with since 1987. In the various positions she has held there for over thirty years of her impressive career, she has undeniably contributed to the impressive development of Tate Modern into one of the world’s most popular and leading museums. As curator and head of the exhibitions, she does not shy away from innovation and renewal; her approach has inspired other museums around the world. As the first female director of the Tate Modern, Frances Morris is undeniably a role model in a world that is still very masculine; her credibility as a role model is reinforced by the attention she has always paid to female artists throughout her career. On 22 March, another six faculty honorary doctorates will be awarded to members of Ghent University. These are distinctions for scientific merit and go to individuals who have demonstrated a high degree of merit in academic education, scientific research, and social or scientific services. → For the Faculty of Political and Social Sciences, the honorary doctorate goes to Professor Habib Ayeb (Département de Géographie, Université de Vincennes, Saint-Denis, Paris; Observatory of Food Sovereignty and Environment, OSAE). 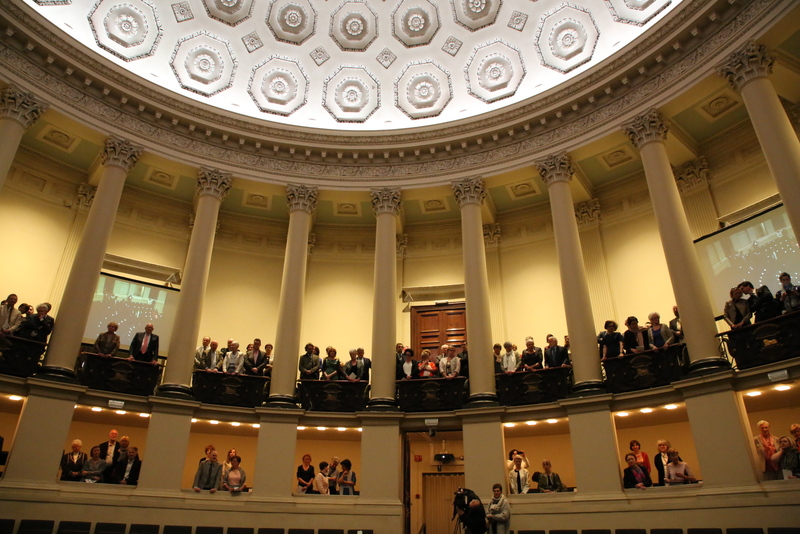 Many honorary doctorate recipients give a lecture in the faculty during the week of Dies Natalis. These lectures take place on 21 March 2019.